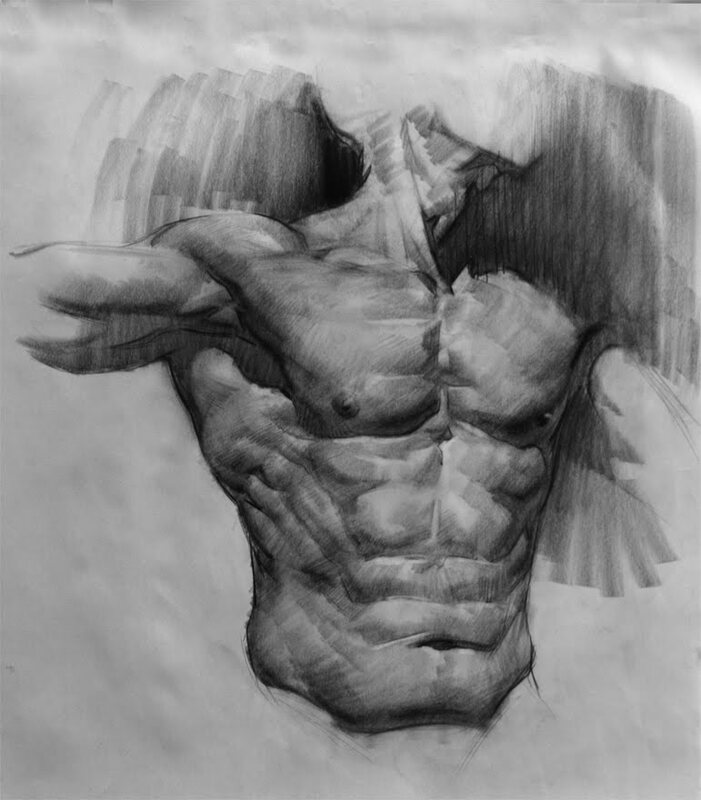 While studying anatomy from books and photos is very informative, to start to master it you need the 3D aspect. 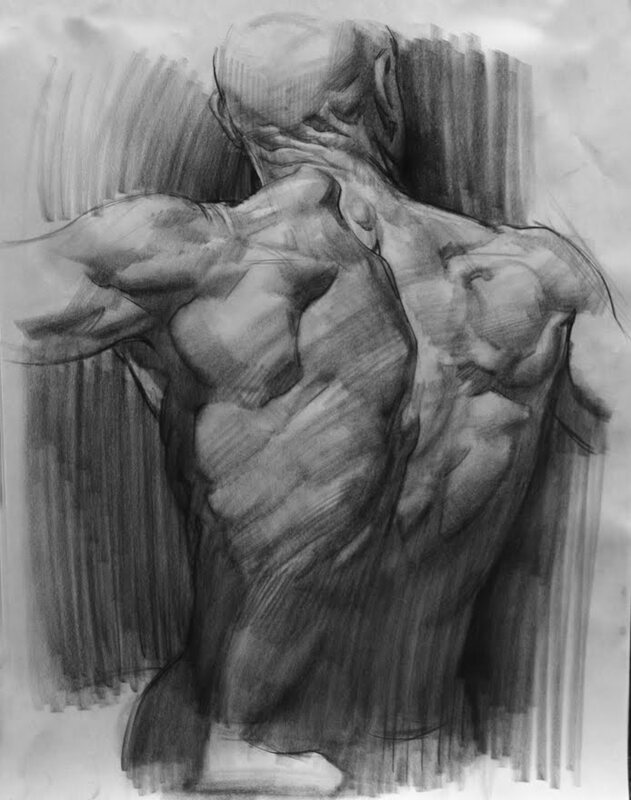 So, for the final session of my anatomy class I had our resident "anatomy model", Rob Donaty come in and take two poses, one back and one front, each for about an 1.5 hours of 20 minutes on 5 minutes off. Even after an intense 10 weeks of anatomy study (maybe because of it) it was difficult for the students to focus on the big picture. Remember you don't draw a brick wall one brick at a time. Extremely impressive. Ta again for posting. Amazing work, looks very sculptural! Although you are right we often forget about the overall picture. Keep it coming. These are amazing! Really great work, Erik! Wolfgang- I have not forgotten about you, I will be in touch after the holidays.